Join us as we launch a brand new three-part series on exoplanets (planets that orbit other stars)! To showcase Flandrau’s new planetarium show about exoplanets, Undiscovered Worlds, we’ve created a lecture series that will highlight research happening right here at the University of Arizona. Dozens of UA astronomers and planetary scientists study exoplanets. In the last decade, researchers have discovered that there are thousands of planets orbiting other stars in our Milky Way galaxy. Now they are searching for planets that may have the right conditions to host life as we know it: liquid water and an atmosphere. This series will explore how UA researchers focus on many facets of exploplanet science - discovering planets, calculating planet size and temperature, modeling the formation of planetary systems, analyzing the elements in a planet's atmosphere. All those fields of research provide data that helps to determine if a planet might be a good candidate for life beyond our solar system. Come and see UA scientists talking about their groundbreaking research in the series Exoplanets: The Search For Life Beyond Our Solar System. Tickets are $10 for each lecture and are available at the Flandrau front desk. Limited seating, tickets are available on a first-come, first-served basis. Ticket price includes showing of our newest FullDome Planetarium Show "Undiscovered Worlds". 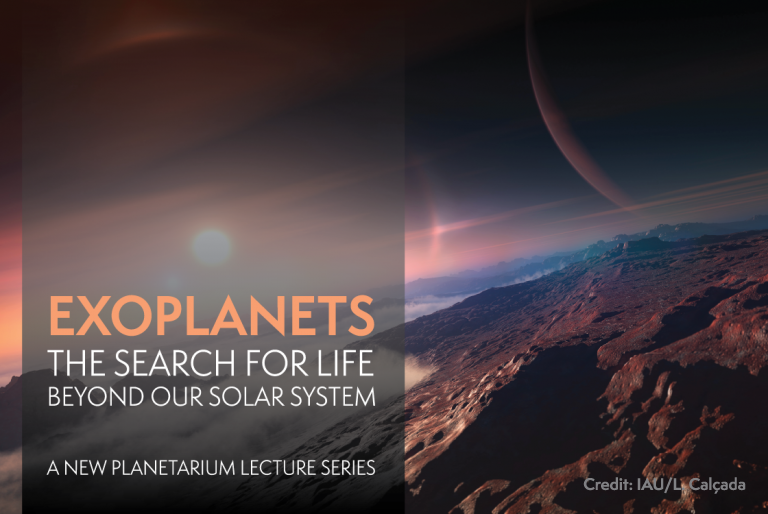 The three-part speaker series Exoplanets: The Search For Life Beyond Our Solar System will take place on a Thursday evening once a month in March, April, and May 2018. Title: What We Can Learn From Exoplanet Atmospheres? Title: What Are Extreme Hot Jupiters?